The book that reunited me with the Grieder family. The first time I met Erica Grieder, she slept like a baby through our entire visit. Which I was totally OK with, considering that she was, in fact, a baby. If not for the incredible power of social media, that second get-together would never have happened and you wouldn't be reading this now. While many Groovy Gringa followers may know that I served as a public affairs NCO in the Air Force, my career in uniform actually began as a medic. Considering how squeamish I am now, I find that rather amusing. I spent six years as a medic and was stationed in the Philippines, Ohio and Alaska. 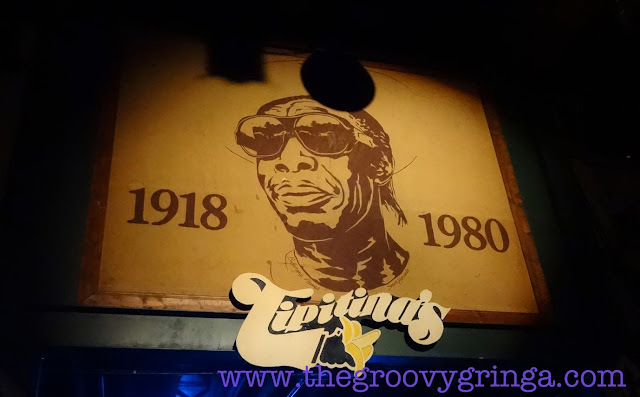 In 1980, I arrived at Scott Air Force Base in Illinois where I came to know Capt. Donna Grieder. it was the genuine family atmosphere we enjoyed while working together. Donna was the charge nurse on Ward 1E, at that time known as the pulmonary specialty ward for the entire Air Force. Our staff was close, largely due in part to Donna’s leadership. She was a compassionate nurse and an outstanding Air Force officer. She had qualities about her that endeared her to the staff, the patients and the physicians. I counted myself lucky to work with someone like Donna, so when the opportunity came for me to retrain into public affairs, leaving the medical center was bittersweet. We stayed in touch after I moved to the other side of base. And when her husband, Felix, received an assignment as the air liaison officer at the French air force academy, I even wrote a story about their upcoming adventure. Their second child, Erica, was born shortly before they left, and I visited the family when she was about a month old. 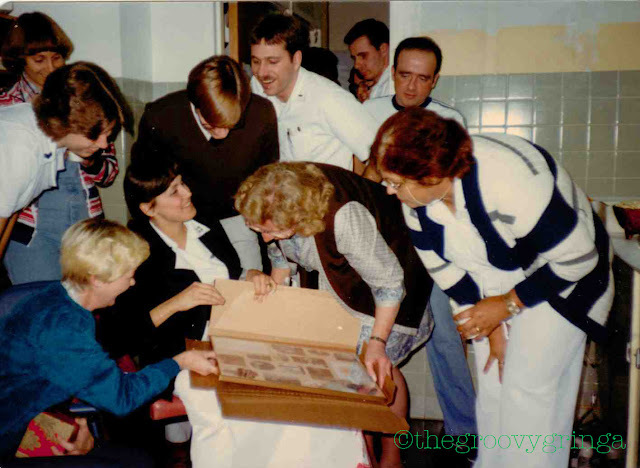 Meeting Erica Grieder the first time in 1982. I saw Donna once more, a few years later in Colorado. We stayed in touch for a while, and I often heard updates about the family from Donna’s younger sister, Diane, who had become a close friend when I lived in Illinois. But then, as it often happens with long-distance friendships, we lost track of each other. I often thought of Donna, and wondered where her family ended up. I had wonderful memories, and if that’s where it stayed, that was a good place to be. On April 12, I was sitting at my computer reading my emails when I saw one from the Rivard Report, a local, independent multimedia blog all about San Antonio. The subject line made me stop and sit up straight in my chair. Could it be? No. No way. What were the odds? I opened the email and saw her photo. She was Donna’s daughter, all right. And then as if that wasn’t enough to make me 100 percent positive, I read that both her parents had served in the Air Force. And they lived in San Antonio! Turns out the odds were pretty good. 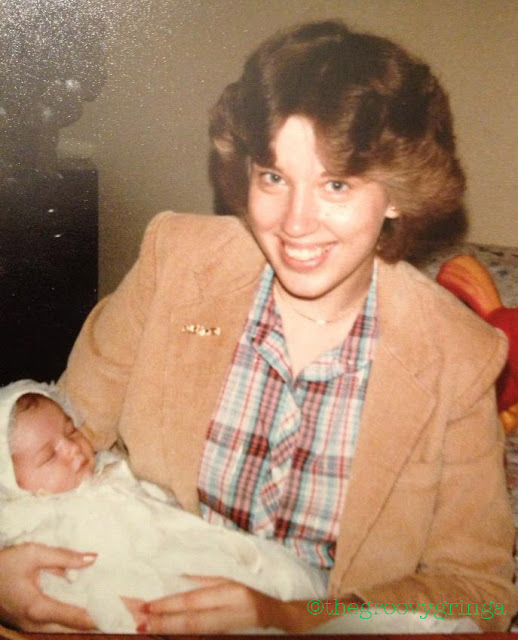 Author Erica Grieder was one and the same as the infant I held nearly 31 years earlier. 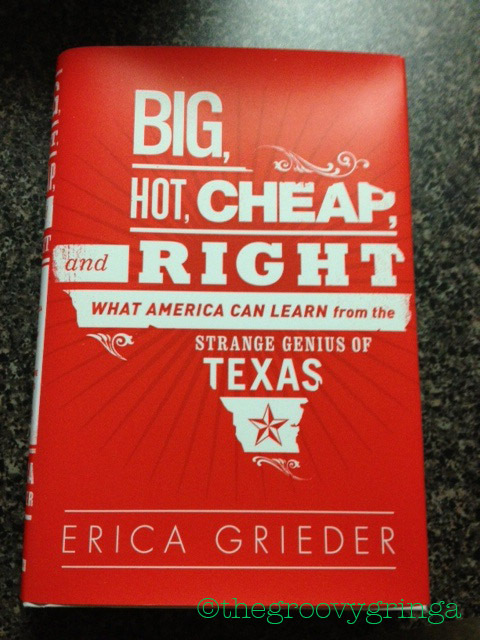 Erica was going to speak at the inaugural Texas Book Festival/San Antonio edition the following morning. I had plans I couldn’t back out of at the same time as her presentation. I was beside myself – I had to contact her! So where else do you turn in this day and age? Facebook. I quickly found Erica’s profile, and then her mother’s. I sent the two of them friend requests, and hoped they would check their pages soon. It turns out that Erica was staying at her parents’ home because of the early morning presentation the following day. As she was sitting there with them, Donna checked her Facebook page and saw my friend request. “Oh, look, it’s Annette Crawford!” Donna said. She and Felix told Erica about us working together, about the article I had written when they went to France, and that somewhere in the house, there was even a photo of me holding the future Texas Monthly senior editor as an infant. Sometimes things in life just come together like that. While I didn’t get to see Erica or her parents the next day, we did manage to have our reunion a few weeks later. 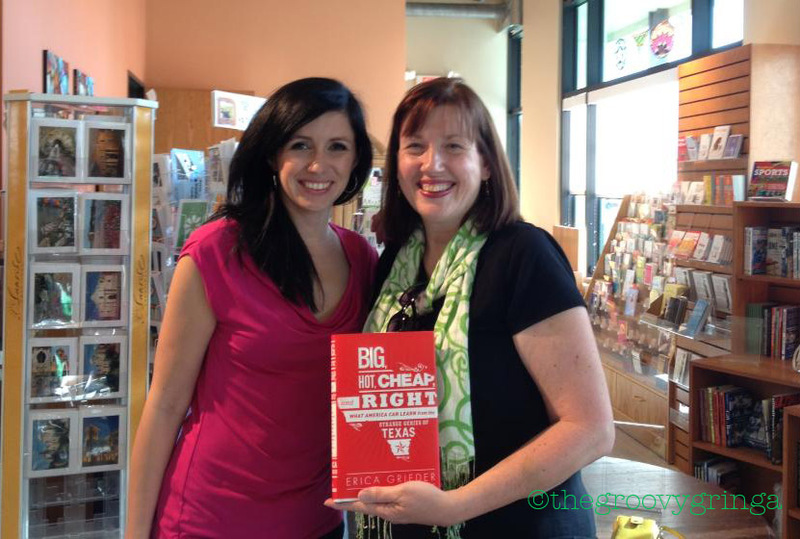 Erica had her book signing at The Twig Book Shop at the Pearl Brewery May 7. I saw Donna and Felix as I walked up to the shop. There were lots of hugs and smiles and exclamations. It was truly joyous and uplifting to see them after so many years. Meeting Erica Grieder for the second time, 31 years later. Now THAT is the start of a beautiful friendship.